Welcome to the website for the Imai lab (Department of Developmental Neurophysiology, Graduate School of Medical Sciences, Kyushu University). We study neuroscience, in particular neural development from functional and anatomical aspects. We also teach in a physiology class for undergrad medical students. The vast majority of human mental activity is located in the brain. Unsurprisingly, it is a complex network of approximately 100 billion neurons, which form about 100 trillion connections (synapses). Uncovering the principles how these networks are constructed and operate will not only help us combat neurological disorders, but also can develop our understanding of how neural activity can translate into human cognition. We believe that studying the development of neural circuits offers a particularly good strategy to improve our understanding of the brain. Our lab aims are to understand the development and function of neural circuits using three approaches: circuit mechanisms, circuit structure, and developmental mechanisms. 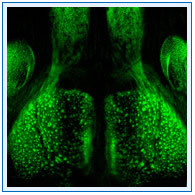 In particular, we focus on the mouse olfactory system as a model to understand the basis of sensory information processing and, the developmental mechanisms on a systems, cellular, and molecular level. 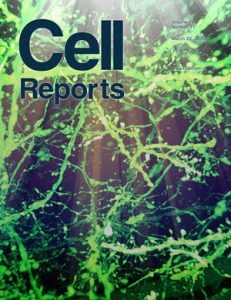 We also seek to shed new light on the function of neural circuits as well as pathological conditions, by developing novel imaging techniques such as brain clearing and developing new image analysis methods. Our lab is currently recruiting graduate students and post-docs (People of all nationalities are welcome). We are also open to short term residences/internships of undergraduates and overseas students/researchers. As neuroscience is a multi-disciplinary field we welcome applicants from a variety of scientific backgrounds. Particularly those with a background in neurophysiology, molecular/cell biology, or mathematics /information science. Please feel free to contact us if you are interested. The mammalian nervous system is composed of enormous numbers of neurons, but how do these cells take on diverse fates and organize and array themselves during development? How is a functional circuit formed? In recent years, for it has become clear that the mouse olfactory system provides an excellent platform for addressing these questions experimentally. In this system, there are 1,000 types of odorant receptors that are capable of detecting and discriminating between odorant molecules. Each olfactory sensory neuron expresses a single type of odorant receptor, and the axons of neurons expressing the same receptor type converge on the same site in the olfactory bulb. Olfactory sensory neurons connect axons to the dendrites of mitral and tufted (M/T) cells in the bulb, where each receives inputs from a single specific type of olfactory sensory neuron. The olfactory bulb is not just a relay station in sensory information processing (see our recent review). We use in vivo two-photon calcium imaging to study the dynamics of sensory information processing (see a press release and a blog post on our recent paper). We also employ mathematical simulation to understand the circuit dynamics. Circuit bases are now being studied by the light microscopy-based connectomic approaches, incorporating tissue clearing techniques developed recently in our laboratory (e.g., SeeDB, SeeDB2). Our goal is to understand the developmental mechanisms of the functional neuronal circuitry.